In June 1943, the city of Los Angeles was wrenched apart by the worst rioting it had seen to that point in the twentieth century. Incited by sensational newspaper stories and the growing public hysteria over allegations of widespread Mexican American juvenile crime, scores of American servicemen, joined by civilians and even police officers, roamed the streets of the city in search of young Mexican American men and boys wearing a distinctive style of dress called a Zoot Suit. Once found, the Zoot Suiters were stripped of their clothes, beaten, and left in the street. Over 600 Mexican American youths were arrested. 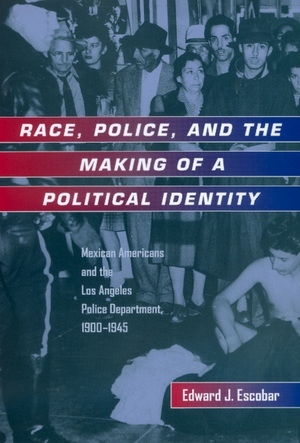 The riots threw a harsh light upon the deteriorating relationship between the Los Angeles Mexican American community and the Los Angeles Police Department in the 1940s. In this study, Edward J. Escobar examines the history of the relationship between the Los Angeles Police Department and the Mexican American community from the turn of the century to the era of the Zoot Suit Riots. Escobar shows the changes in the way police viewed Mexican Americans, increasingly characterizing them as a criminal element, and the corresponding assumption on the part of Mexican Americans that the police were a threat to their community. The broader implications of this relationship are, as Escobar demonstrates, the significance of the role of the police in suppressing labor unrest, the growing connection between ideas about race and criminality, changing public perceptions about Mexican Americans, and the rise of Mexican American political activism. Edward J. Escobar is Associate Professor in the Departments of Chicana and Chicano Studies and History at Arizona State University, and coeditor of Forging a Community: The Latino Experience in Northwest Indiana, 1919-1975 (1987).